While the focus of Battlefield 3 was around the competitive multiplayer, we saw the inclusion of a cooperative mode within the game that allowed players to complete several different missions with a friend. A total of six missions were available that were separate from the main campaign with the completion time running roughly three hours. The mode was worth trying out to unlock a few weapons for the competitive multiplayer, but ultimately didn’t see a high usage. The disappointing reception for the mode was likely a driving force as to why we won’t be seeing a separate cooperative mode for Battlefield 4. The official Battlefield Twitter account confirmed that a separate co-op mode will not be a part of Battlefield 4, but did not rule out cooperative play within the main campaign. 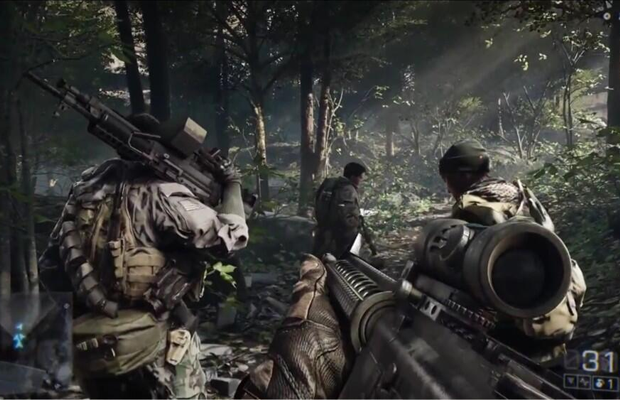 When a fan of the game notified the account that they had finished the co-op mode and wanted to see a similar mode in Battlefield 4, the account quickly responded and informed the user the co-op mode won’t return. The tweet was worded in a way that does not rule out co-op in the main campaign, but we’d expect DICE to comment on that during E3 this year. Are you glad to see the co-op mode leave the series, or do you want it back in? Be sure to let us know what you think by leaving us a comment below, or discuss Battlefield 4 in our community.